Currently, magnetic therapy is being used in a South Carolina hospital for depression with amazing results 2, 3, 4. In that hospital setting they are using Transcranial Magnetic Stimulation, which is a moving magnetic field , which biophysicists feel there is little doubt that it does affect nerve tissue. Moving magnetic fields do act differently than static magnetic fields, but there is evidence that static magnetic fields affect charged particles in the blood, nerve and cell membranes or subtly alter biochemical reactions 5. These treatments in the hospital are FDA approved and have been shown beneficial in 50-70% of participants. The treatment uses a powerful highly focused pulsed magnetic field projected into the left frontal lobe of the brain; the area thought to be connected with mood regulation. The magnetic field penetrates 2-3 cm into the brain and is thought to activate cells within the brain which release neurotransmitters associated with mood elevation. Thereby, reducing or eliminating the symptoms of depression. The treatments are 20-40 minutes a day for 4-6 weeks. Improvements have been documented in as little as 2-3 weeks. Our device uses a powerful magnet positioned over the left frontal lobe, with its field powerful enough to penetrate the necessary 2-3 cm. Although we are using a static magnet, there is evidence and research supporting the health benefits of a static magnetic field 6, 7. Further research is certainly needed to continue to evaluate any limitations and the maximum effectiveness of all types magnetic of therapies. ​The second therapy we’ve incorporated into the MIND is light therapy. Light therapy has been proven to be an effective mood enhancing benefit for individuals with (SAD) seasonal affective disorder 8. This depression is caused by a decrease in sun light as seen in the fall or winter. Light therapy has also been shown helpful to battle depression, even major depressive disorders like bipolar disorder, and postpartum depression. By light waves from specific light waves striking the retina of the eye, signals are sent into areas of the brain, particularly the pineal gland, where serotonin is manufactured, stored and regulated 9. The neurotransmitter serotonin plays a major role in our sense of reality and how we experience our world and ourselves. This serotonin system is heavily involved in the determination of a person’s perceptions and therefore one’s thoughts and emotions 10. Research has shown that increasing serotonin helps to battle depression and provide mood enhancing benefits. This can be accomplished by stimulation of the retina with light waves for 15-30 minutes per day a few days per week, in the morning or mid-day. This not only stimulates the production of serotonin but decreases melatonin, which is increased in periods of darkness. 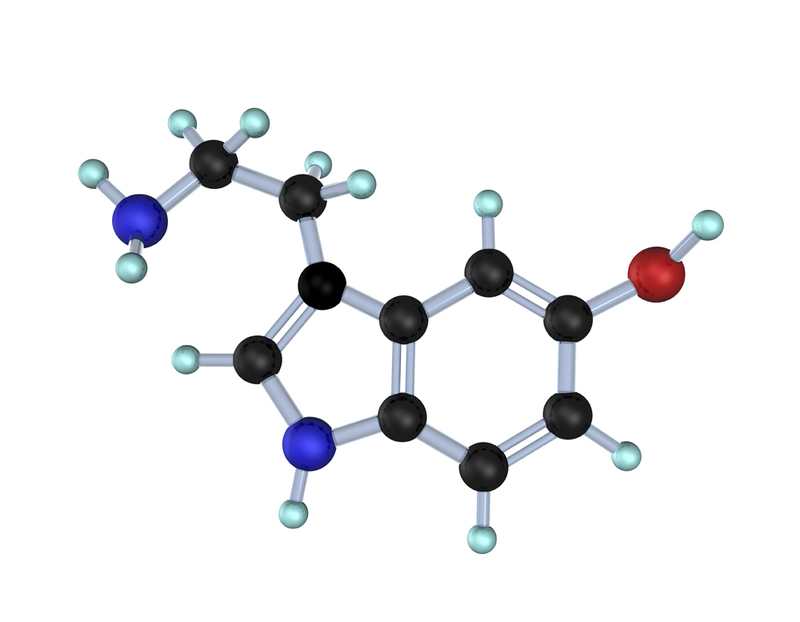 Melatonin has been show to create feelings of tiredness and may counteract serotonin. Recent studies have shown that specific light waves, green and blue, produce these results without any of the negative side effects other light waves may cause. By using LED lighting we are decreasing the risks of UV exposure 11. The MIND DEVICE : is the first truly effective, alternative device to improve mental wellness. The technology behind the MIND is based on two researched therapies which have been proven effective in the treatment of depression and have created positive mood enhancing benefits. Magnetic therapy and Light therapy, by combining these two therapies together targeting two independent regions of the brain we are providing the individual the best opportunity to overcome any depressive disorders and gain amazing mood enhancing benefits. The MIND uses a static magnet positioned over the left frontal lobe, the exact area of the brain thought to be connected with mood regulation. Research has shown that there is healing benefits from static magnetic fields, and in one study from the Beth Israel Deaconess Medical Center – A Teaching Hospital of Harvard Medical School, it states that Static magnets could affect charged particles in the blood, nerves and cell membranes or subtly alter biochemical reactions. 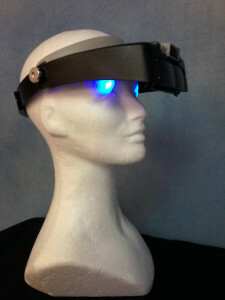 The MIND DEVICE also uses two battery powered blue LED lights, directed towards the wears eyes. 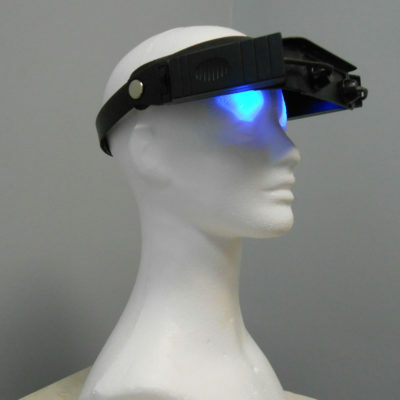 The blue light waves have been shown the most beneficial in the maximum stimulation of Serotonin. Serotonin plays a major role in our moods, our energy levels and our self esteem. So by combining these to therapies together we are providing individuals the best opportunity to be able to live a more balanced, happy and enjoyable life. Since October 2011 we have been conducting our own in-office research to determine the effectiveness of the MIND DEVICE. We put an advertisement in our local paper looking for individuals suffering with depression or seasonal effective disorder to take part in the study. We have been doing pre- and post-studies by having the participants complete a Mood Scale form, which determines their level of depression. 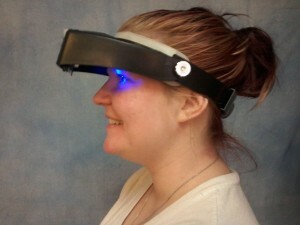 The participants came into the office 3 times per week for 3 weeks to wear the MIND DEVICE for 20 minutes per session. After the 3 weeks, the participants were again given a Mood Scale form to complete. Initially 50% of the participants scored in the severe depression category, 30% scored in the moderate cayegory, and 20% were in the mild category for depression. After just 3 weeks of use, 60% of the individuals scored in the mild category, 30% scored below mild, and 10% showed no improvements. To date the results have been amazing, but studies are still being done to further document the benefits and effectiveness of the MIND DEVICE. Although we can’t guarantee results for all individuals who wear the MIND, our hope is that the MIND may provide some individuals who have had no success with medicine or who just want to try an alternative approach, an opportunity to help combat one of the most disabling conditions affecting humanity in the privacy and comfort of their own homes.